A request letter is typically written when you want to request a job interview, request a raise or a promotion, or approach a company or business colleague for specific information. In general, a request letter should be written in a formal writing style, complete with your full details, and the full details on the person you are addressing, at the top of the page. The content of the letter needs to be brief and direct; don't confuse your reader with auxiliary information that could weaken the message you actually want to convey. Your English writing should also reflect your intelligence, with use of a rich vocabulary, and perfect English grammar and spelling. Below we will give an example of a 'bad' request letter, where someone is writing to a potential employer to request an interview. We will then demonstrate how a formal structure and good proofreading can greatly improve the request letter. 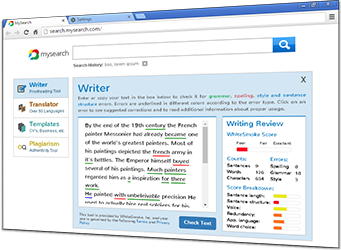 For correcting English grammar and spelling, and also enriching the text with additional words, we have used WhiteSmoke, the ultimate online English writing tool. I'm Peter Smith, a web programmer. Danny Brown suggested I contact you about a programming job. If your interested, I would like to arranged a meeting with you to discuss the possibility of working together. My name is Peter Smith, and I am a professional web programmer with over 10 year's experience. A mutual colleague, Dan Brown from InfoTick, suggested I contact you regarding a web programming position. I would like to arrange a meeting with you to discuss the possibility of working together. Please contact me at [email] or on [phone number]. See the improvement in the second example text. The difference of effect on a potential employer will be enormous. The same principles can be applied to any type of request letter you need to write. 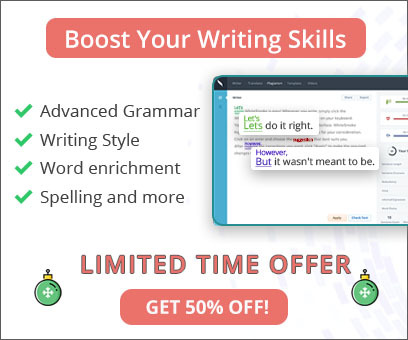 And with WhiteSmoke, proofreading any text is a breeze, with almost instantaneous detection and correction of grammar, spelling and punctuation errors. WhiteSmoke contains a whole suite of tools for English editing, making it much more than just an English grammar software application. Unique artificial intelligence technology scans your texts and actually suggests synonyms, adjectives and adverbs to make your writing better. There are also over 600 letter templates, which can get you started on just about any letter you need to write. Combined with the dictionary-thesaurus featuring over 200,000 unique word entries, you need never be stuck for words again!